We love a good shark unit study or theme every summer! And I'm sure I'm not the only homeschool mom to "do school" in the summer! 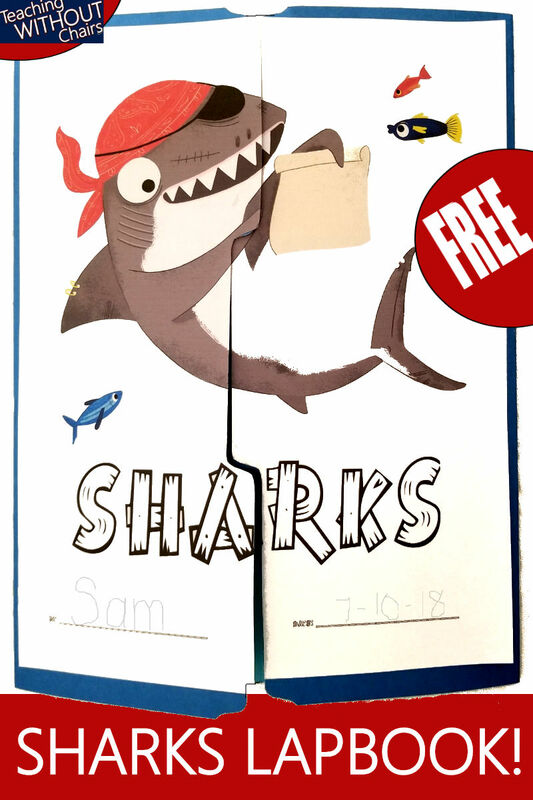 This shark lapbook can be made independently by older elementary students with the book I share below! * How do sharks get oxygen? All the answers are in the book How to Survive as a Shark (the image below is an Amazon affiliate link). I was originally given this book by the publisher to facilitate a review, but my family fell in love with it! We use it as often as possible now! If you don't want to buy it or get it at a library, your kiddos should be able to also find all the answers online...though we absolutely recommend the book! I also included a step-by-step instruction page FOR your students because my kids sometimes get all the pieces to lapbooks and feel completely lost. This walks them through putting all the pieces on the lapbook. I will add more pictures of the inside soon...I didn't have time to photograph it all because we are in a cleaning frenzy today! My husband is getting back from a 2-week work trip and I don't want him tripping over LEGOS as he walks through the door! But I did want to get this up in case you want to use it in conjunction with Discovery's Shark Week! Anyway, you can get the free Shark Week Lapbook by clicking here! And be sure to check out these shark-y learning activities from our blogging friends! You will love them!